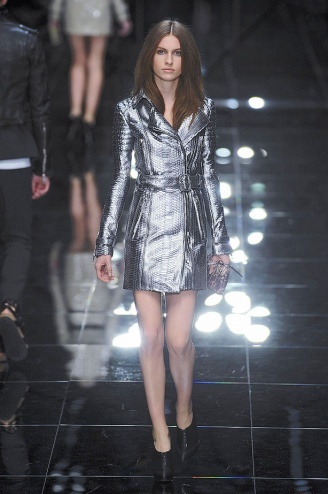 The Burberry show is THE event of London Fashion Week, if not the season. For the last couple of weeks leading up to the show, Chris Bailey took over social media with ease and confidence to engage audiences via tweets, Facebook posts (asking fans to decide which eyeshadow to use! ), webcasts, the Burberry Acoustic sessions and a personal, handwritten note to invite fans of the brand worldwide to join the parade and the fash pack. With his personal style and approach, he can create some serious buzz around Burberry any time he pleases. Besides, of course, the fact that he has made Burberry the best, but more importantly, the most credible aspirational brand in the world. On the day, from the build-up to the show, you'd think it's the Oscars red carpet, except for different street views and a British accent. Once inside the giant show tent, eerie chimes invite you to drift away, after all, you have entered in another world. Strange indeed – have to remind myself I’m not here to meditate or sleep, I couldn’t anyway from the excitement. But then again, it’s a nice distraction from the front row frenzy… ‘Brainwash in a show space’, I’m musing, is like ‘murder on the dance floor’… and the place is slowly filling up. 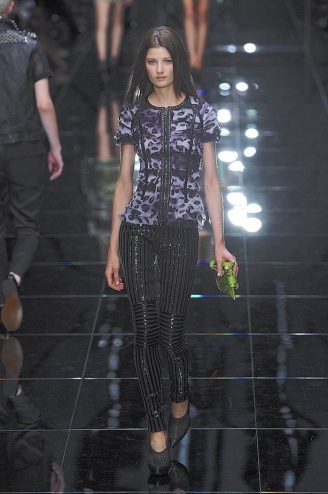 Tying in with the recent ‘tradition’ of Burberry Acoustic, the show soundtrack is acoustic. It feels live and incredibly fresh, having heard so many club tunes, not to mention the usual, seemingly fail-safe options of Britpop or electronica at shows. The songs are all captivating in their raw energy, but I can’t believe I’m hearing Annie Lennox playing in our makeshift ‘local’. And why the rawness and simplicity? First, to showcase, and then to offset, all the jaw-dropping pieces that start descending on the runway, with outfits growing more jaw-dropping by the minute. And the outfits? Perfect and amazing as ever. 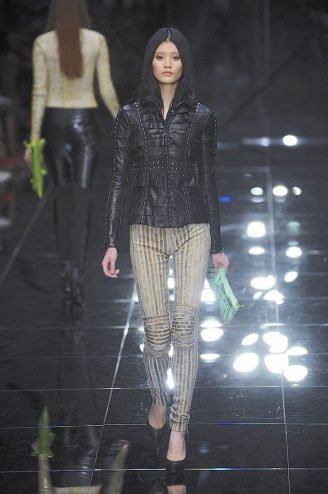 First, you have to notice that Burberry invents the biker trench (left and above). Leather or gabardine, super-sleek, super-skinny, cropped or classic trench cut, all made with the best craftsmanship you can imagine. 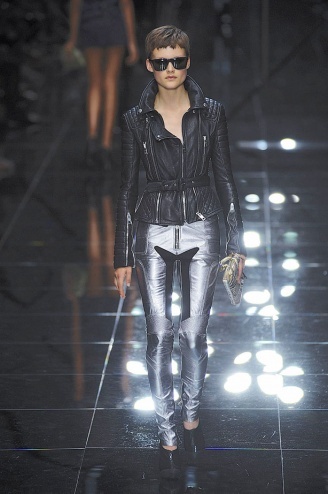 Then, classic biker jackets take centre stage, combined with leather biker pants or ruffled silk satin dresses. Here, just as at Todd Lynn, python skin makes a big appearance, with a lot of playing around with strong colours, prints and contrasts. 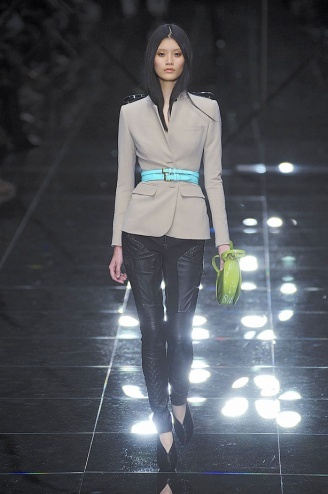 Luckily, there are a few more military pieces where previous season's beauties came from, this time, coloured for spring. Similarly to the aforementioned huge favourite, Chris Bailey was inspired by sci-fi retro, quite obvious in 1960s tee-shift dresses and silver leather pieces - and he even added the signature biker to this capsule collection.